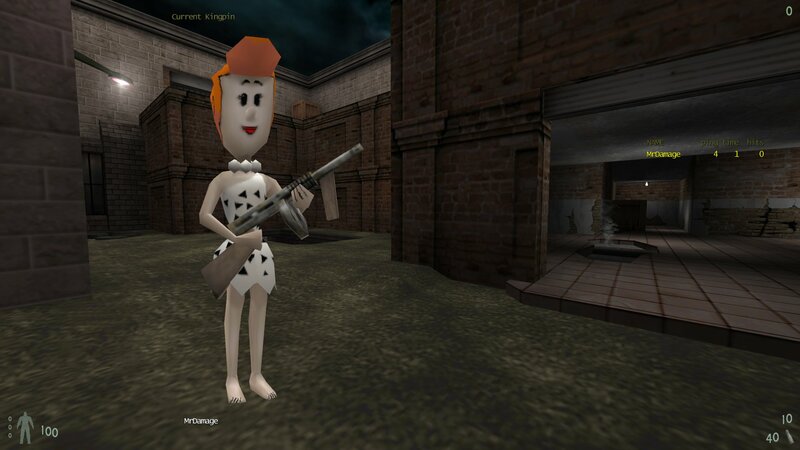 I have created a sound pack to go along with the new Wilma Flintstone model. I used some sounds from the Quake 2 version of the model and also some sounds I found on the net. You can downlaod the Wlima Fintstone Sound Pack from here. Just unzip the Pak4 file into you kingpin folder and it will be placed in the correct location. If you already have a pak4 file then extract the new pak4 to a temp location somewhere (such as your desktop), rename it to a number you dont have such as pak2, pak3 etc then copy it to your kingpin/main folder. If you haven't already downloaded the Wilma model then you can download it from here.